A handful of lucky customers experienced Kia’s Power to Surprise when they were all awarded a four-day trip to Korea thanks to the Kia Advocate program. 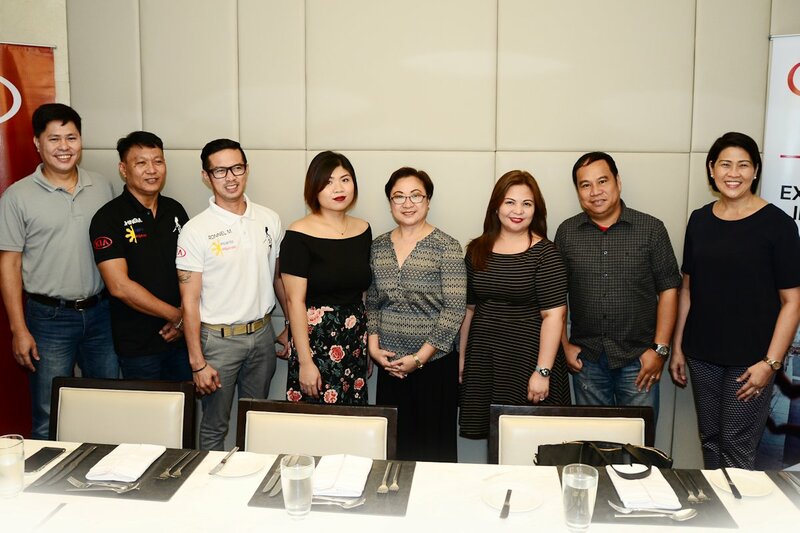 Columbian Autocar Corporation (CAC), the exclusive distributor of Kia vehicles in the Philippines, treated Helen Banzuelo, Robert Canlas, Raul Montes and Ronnel Mapaye to a trip to the home of Hallyu (Korean culture) as part of Kia’s customer loyalty platform. Each one was selected for their efforts in embodying the traits of an ideal Kia owner and customer. They joined hundreds of other fortunate Kia Advocates from all over the world as part of Kia’s reward for some of their most loyal and vocal owners. The trip was a complete Korean experience filled with tradition and culture as well as demonstrations of Kia’s impeccable craftsmanship. Their varied itinerary included stops at Kia Motors Global Headquarters and a tour of Kia’s Hwaseong plant as well as visits to Gyeongbok Palace and the historical Insa-dong neighborhood. Ms. Banzuelo’s daughter, Jen, accompanied her on the trip. She was selected thanks to her family’s purchase of multiple Kia vehicles over the years and religious adherence to their vehicles’ service schedules. Her wonderful experience with the brand has also led her to recommend Kia vehicles to her friends and colleagues, some of whom have gone on to take home Kia’s of their own. She truly represented what it was like to be an advocate of the brand. Mr. Canlas went with his wife Racquel to Korea. The pair was awarded their trip thanks to Mr. Canlas’ blog post about his Kia Sportage where he sang its praises of what it meant to him and how it has been a loyal companion over the years. While Mr. Montes and Mr. Mapaya on the other hand, are both members of the group Picanto Pilipinas. They were both the lucky winners of a raffle draw that was held during Kia’s car club day celebration last July 15. As members of Picanto Pilipinas, the pair has displayed their passion for the brand during their regular meet-ups with other Kia appreciation groups, sharing their experiences and dispensing advice to new Kia owners online. Kia showed that they really know how to take care of their loyal fans. Whether consistently bringing the most innovative and exciting vehicles or their industry-leading warranty and after-sales service, Kia owners really are some of the luckiest in the world.